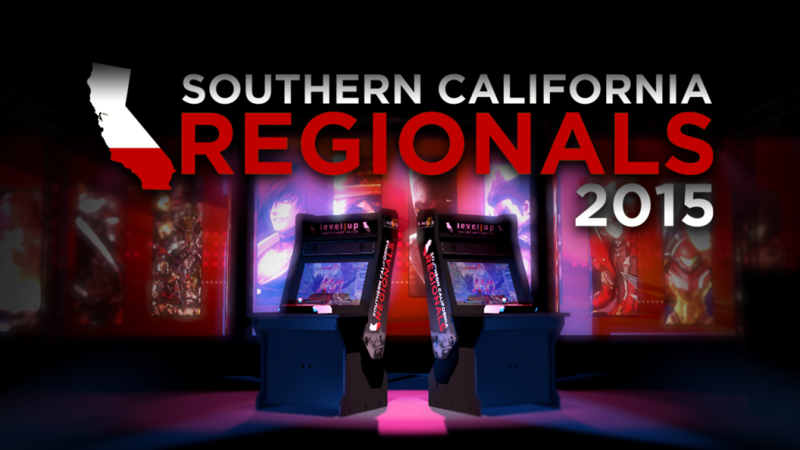 SoCal Regionals 2015 is coming this October 9-11 at the Ontario Convention Center! SoCal’s grand finale event of the year welcomes competitors worldwide to compete for over $30K in cash and prizes! SCR2015 is a Capcom Pro Tour Premier Stop! SoCal Regionals 2015 is the FINAL Pro Tour Premier event in the United States! Capcom is graciously providing a whopping $15,000 cash prize incentive to Ultra Street Fighter IV finalists at SCR this year! That’s not all, the SCR2015 champion will win travel accommodations for a spot on Capcom Cup’s World Finals in San Francisco! The Ultra Street Fighter IV tournament will take place on the PlayStation 4 so make sure to plan accordingly! Warner Bros. Games and NetherRealm supports Mortal Kombat X at SCR2015! We are excited to announce our partnership with Warner Bros. Games and NetherRealm Studios at SoCal Regionals 2015! 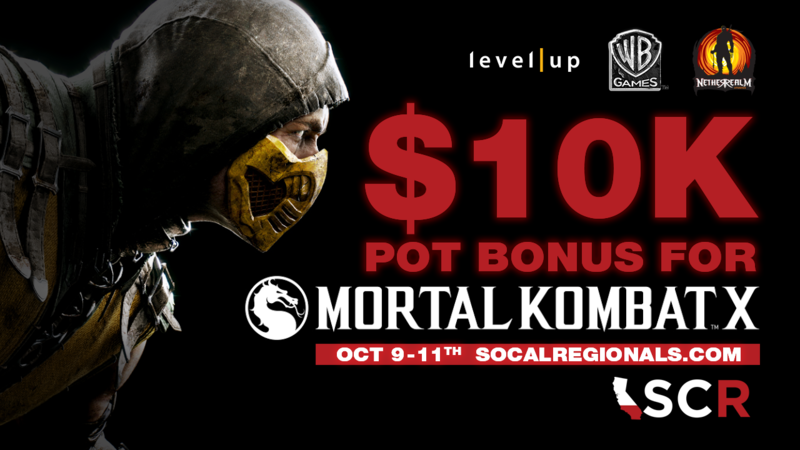 Mortal Kombat X finalists at SCR will compete for an additional $10,000 in cash and prizes brought to you by our friends at Warner Bros. Games and NetherRealm Studios! We expect to see the highest level Mortal Kombat X matches this side of the west coast and challengers from across many regions! Will a new champion emerge or will the veterans gatekeep all the glory? Find out this Oct. 9-11 at SCR2015! Twitch adds $2,000 bonus prize for Smash at SCR2015! Our good friends at Twitch are adding $1,000 for both Melee and Smash 4 finalists at SoCal Regionals 2015! The SoCal Smash scene is growing amazingly fast and we are excited to partner with the home of Smash broadcasts at Twitch for all the great moments! But wait, there’s more! SoCal Regionals will also sweeten the bonus with an additional $1,000 for both Melee and Smash 4 if 128 competitors are reached for the respective titles! We are leaving it up to the SoCal Smash scene to come out and compete for over $6,000 in cash prizes at SoCal Regionals 2015! 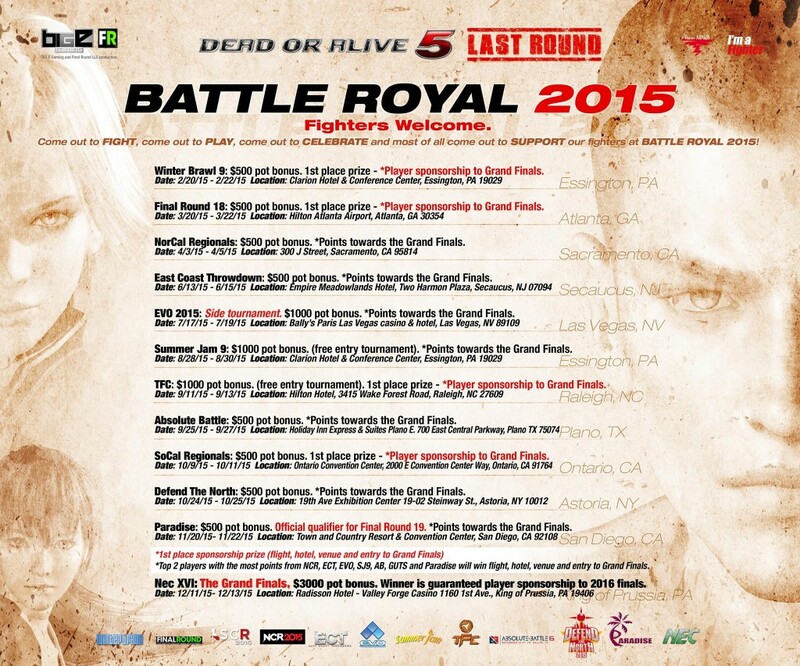 Dead or Alive 5: Last Round Battle Royal 2015! Our good friends from Big E Gaming, Final Round LLC. and Team Ninja are coming together to host Dead or Alive 5 Last Round: Battle Royal 2015 and bringing it to the West Coast! We’re excited to announce SoCal Regionals 2015 as an official Sponsorship Qualifier for the Grand Finals + $500 Pot Bonus! The SCR2015 DOA Champion will not only win some money but travel accommodations to the Grand Finals at NECXVI !! Now the question is… WHO IS GOING TO REP THE WEST COAST IN DOA5 LAST ROUND!? LET THE TRAINING BEGIN! Shout outs to Eric Small Shin Blanka and Tom Lee for supporting the DOA scene! Tekken 7 playable at SCR2015! Bandai Namco’s latest installment of the Tekken series is coming to SCR2015! Check out the latest Tekken 7 build with classic characters and new ones like Josie, Shaheen, Gigas, and Lucky Chloe from Oct. 9-11! Special thanks to Bandai Namco and Mad Catz for supporting Tekken community at SCR2015! Nitroplus Blasterz is coming to SCR2015! Marvelous USA and XSEED Games are bringing Nitroplus Blasterz: Heroines Infinite Duel to the SoCal Regionals 2015 Main Event! Nitroplus Blasterz is a 2D fighting game by EXAMU featuring a character roster populated by numerous heroines from Nitroplus’ rich collection of IPs as well as some guest fighters. Our good friends at XSEED Games are showcasing Nitroplus Blasterz at their booth throughout all 3 days of SCR with casual play, a cash prize tournament, and much more! If you’re a competitor or spectator, you can try your luck on the tournament and win some amazing prizes! 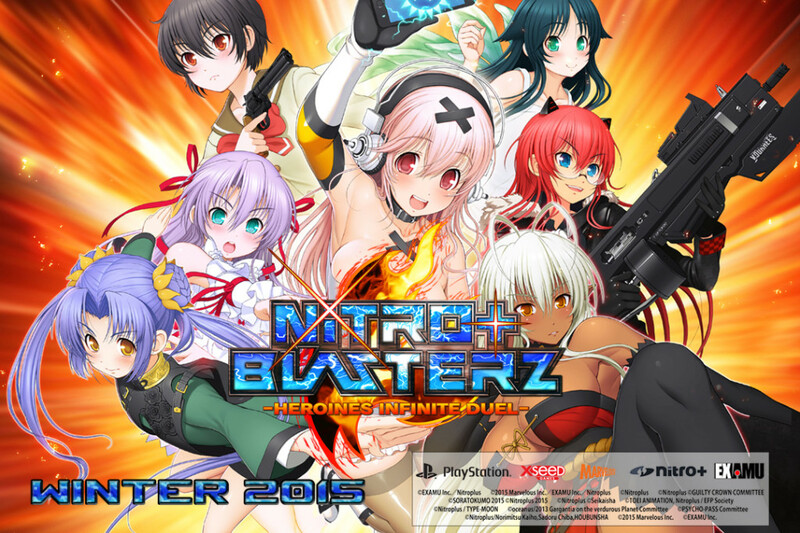 Nitroplus Blasterz is coming this Winter on PlayStation 4 and PlayStation 3 consoles. Make sure to stop by the booth and enjoy Nitroplus Blasterz before release! Yatagarasu will be at SoCal Regionals 2015! Nyu Media will be providing daily tournaments at SCR! Competitor and spectators will have access to enter the tournaments and casual play throughout the day from 10AM-Close! Don’t have a fightstick? No problem! Nyu Media is also providing a few fightsticks to get your game on! 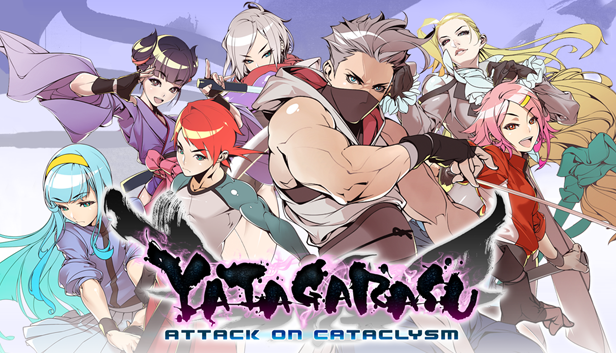 Check out the fast paced Yatagarasu action and try your luck at Nyu Media’s daily tournaments! Super Turbo Revival hosting ST at SCR2015! It will be taking place on Friday, October 9th, 2015 at the Ontario Convention Center. If you are already registered for SCR, you only need to come see me at the venue and pay the $10 tournament fee for the ST Tournament. If you are not registered, you only need a Spectator Pass to enter the venue ($10 for 1-day, $25 for 3-day). $10 tournament fee still applies. 3/5 games per set. Applies to all matches including finals. We are using 2 Undamned CPS-2 superguns, which are usable with most PS3 and Xbox360 controls.